Kansas is a centrally located state that has often been ground zero for a number of social changes, some good and some bad. John Brown made his bones in Kansas. It was after all Kansas that rang the death knell for enforced legalized school and other forms of racial segregation in the Supreme Court case Brown vs. Board of Education. The author Thomas Frank chronicled the slow rise of conservative and occasionally racist populism in his noted book "What's the Matter with Kansas". Part of Frank's thesis posits that fiscal conservatives use hot button cultural issues to whip up resentment among the socially conservative base in order to get said base to support policies and ideologies which are bad for them economically. To add insult to injury it was rare that conservative politicians even delivered on promises to the socially conservative segment of their base, instead preferring to promote fiscal conservatism. This theory was really popular among some progressives as it tended to confirm some of their deepest beliefs about conservatives. Frank's thesis is a little out of date since the national energy on one of the hotter social issues of the day, gay marriage, seems to be almost entirely with the liberal pro-gay marriage supporters. However another key tenet among the conservative base is the importance of having the people, and not the judges, decide what is correct among competing political ideas. "Activist judges" remains a powerful epithet for many on the right. Some fervently hold to the idea that a great deal of mischief is caused by know it all, elitist, out of touch, Ivy League, smug judges who arrogantly substitute their own preferences for plainly written law or long agreed upon custom. Or to put it another way some conservatives just throw a fit and start hurling insults when their favored position loses in court. People on the other side are hardly immune to this of course. Check out the liberal reactions to the Supreme Court's Heller decision. Temper tantrums seem to have become more common for everyone. Still, this conservative sensitivity and hostility to the very existence of judicial review was touched recently in Kansas. Like many states Kansas is seeing new battles over education and social spending. Conservatives and liberals almost by definition usually have quite different political preferences for the spending levels in those categories. These battles have not only been touched off by tax cuts or other reductions in spending but by the recession driven crash in property values in many localities. So even if some states wanted to keep the same level of school funding, it was sometimes very difficult to do so. States can't print their own money. States, unlike the Federal government, are generally constitutionally forbidden to run deficits. Still in Kansas, it appears that politics, not necessity is the primary driver of the latest contretemps. It's not necessarily that Kansas politicians can't spend the money. It's that they don't want to do so. Parents filed a lawsuit in the Kansas courts to challenge the cuts. 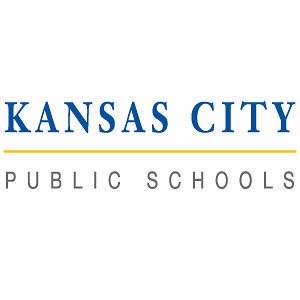 In Gannon v. State of Kansas, a three-judge trial court ruled in January 2013 for the parents, finding that the cuts reduced per-pupil expenditures far below a level “suitable” to educate all children under Kansas’ standards. To remedy the funding shortfall, the judges ordered that per-pupil expenditures be increased to $4,492 from $3,838, the level previously established as suitable. 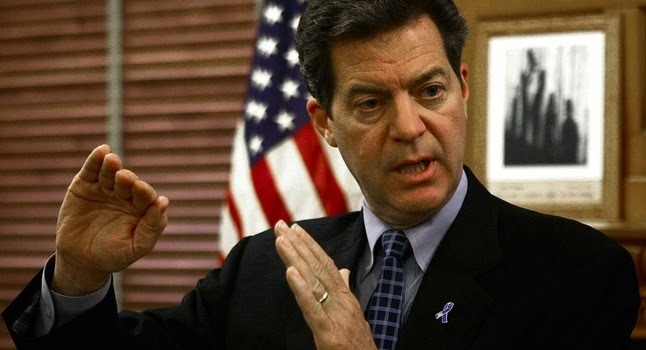 Rather than comply, Governor Brownback appealed to the Kansas Supreme Court. A decision is expected this month. A victory for the parents would be heartening, but if it comes, would Governor Brownback and legislative leaders uphold the right to education guaranteed to Kansas school children? The signals thus far are not promising. If the Kansas Supreme Court orders restoration of the funding, legislators are threatening to amend the state’s Constitution by removing the requirement for “suitable” school funding and to strip Kansas courts of jurisdiction to hear school finance cases altogether. And if the amendment fails, they have vowed to defy any court order for increased funding or, at the very least, take the money from higher education. So what's your opinion. Most state constitutions make it clear that the state has the responsibility to provide for public education for all. As in most things though the devil is in the details. On the one hand the state can't dodge that responsibility. On the other hand, times are tough all over. If the elected politicians of Kansas decide that their state is best served by a 16.5% funding cut to education, isn't that their business? Or is it ultimately the Court's job to determine what the mix of expenditures should be? Public school outcomes are never just about money in the system but on the other hand are there public schools that have provided better results with much less money? I can't think of too many where I grew up. You can't cut a school system off at the knees and demand higher performance can you? Or can you? Who should prevail in this battle? Are legislators and/or executives ever justified in threatening to ignore court rulings they dislike?